In 2016, Barcelona launched superblocks, an innovative strategy to combat air pollution caused by vehicle traffic in the city. The sustainable tactic was detailed in Barcelona’s Mobility Plan, which aims to reduce traffic by 21 percent. Additionally, it says that 60 percent of road space, in which cars are circulating today, will be returned to the people. To reach its goal, the city began prioritizing pedestrian environments to reduce car traffic. Barcelona could prevent 1,200 deaths annually if the city complied with the European Union’s air quality recommendations. 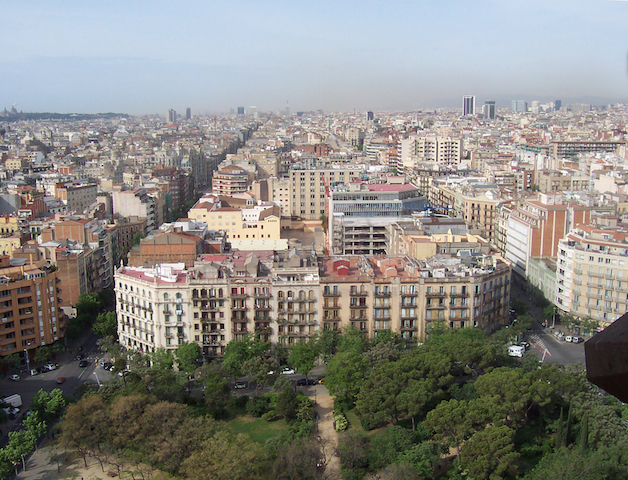 Despite the advertised and intuitive health benefits, some residents of the El Poblenou neighborhood are not satisfied with less space for their cars. 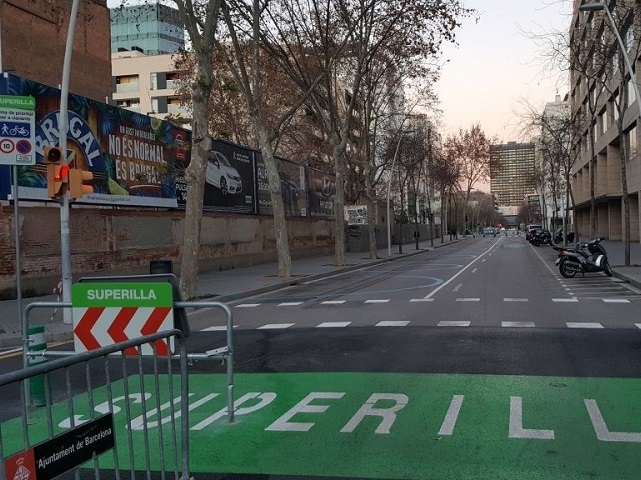 El Poblenou was involved in the superblock pilot project: What was a street for cars, is now a bicycle lane; where there was traffic, there is now space to move. High levels of dissatisfaction prompted residents to protest the new limitations to car travel, including driving at reduced speeds on the inner streets (which only locals have access to). Another argument of the protesters was the delay in deliveries, due to the difficulty of vehicles accessing shops. While this may be problematic in El Poblenou, it is not symptomatic of superblocks as a whole. El Poblenou can learn from other neighborhoods in Barcelona, such as Ciutat Vella. Here, when streets are closed to traffic (or are too narrow), delivery trucks park on nearby streets and use a wheelbarrow or electric bike to make deliveries. 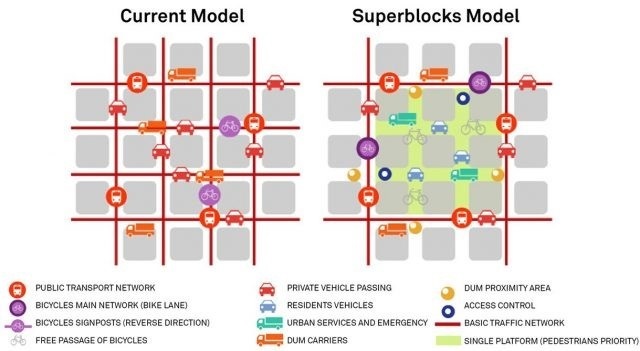 According to Rueda, the implementation of superblocks in El Poblenou is positive, since it fulfills the objectives of Barcelona’s Mobility Plan. Above all, the plan aims to prioritize sustainable transport: new bus lines and bicycle paths. Another aspect of the plan is placing restrictions on private vehicles, with urban tolls and an increase in the price for parking. It’s not that people do not like improved air quality, quieter streets or more livable neighborhoods. It’s a change of culture and behavior that people don’t like. Even with striking health benefits, many aren’t open to this change. While it may be difficult to get residents on board, the city is not giving in. The project is an example of a city designed for people. For improved air quality, a higher quality of life and fewer deaths in traffic, long live the superblocks. Public Space in Cities – What’s the Measuring Stick?